ERIN MATSON (@Erintothemax) is a writer and organizer for reproductive justice, equality for women, and social change. An activist and strategist, Erin has led local, state, and national advocacy campaigns and has appeared in a variety of publications and frequently on television, including ABC World News, BBC World News, and MSNBC. She served as an Editor at Large for RH Reality Check, and previously held a variety of positions in the National Organization for Women, including serving as the youngest state NOW president in the country (Minnesota NOW), a founding member of the national Young Feminist Task Force, and a national executive officer (NOW Action Vice President). One of her responsibilities was leading the national organization’s Love Your Body campaign. Erin is an anorexia survivor, and for many years said that recovering from an eating disorder was the coolest thing she’d ever done. That changed when she became a mom. Q: What is one fact about eating disorders that you think is most important for people to know and understand? EM: Recovery is possible! When I was most struggling with anorexia, I wish I had known there were people who do go on to recover. An eating disorder means there is hard work ahead but it definitely doesn’t mean that your life is doomed forever. I had an eating disorder and things were terrible, but today my life is terrific. That possibility didn’t get through to me while I was struggling. Q: What is one thing you learned about yourself during your experience with an eating disorder and/or the recovery process? EM: I am. It sounds strange, but one of the most profound things I learned through the recovery process is that I deserve to take up space without relying upon external validators like accomplishments, or roles, or size. Q: Did you face any specific challenge during the recovery process and what helped you overcome it? EM: Bad days and bad moments happen. Accepting them when they happen, rather than viewing them as failures or reasons to give up, is the first step to overcoming them. During the more difficult phases of my recovery I tried to observe a mental wall of separation between meal and snack and physical activity times; no matter what happened earlier in the day or the day before, I was going to focus on following my recovery plan during the moment in front of me. Q: What are some day-to-day differences between life with an eating disorder and living life in recovery/recovered from an eating disorder? EM: Cue the music and rainbows! Seriously, the difference is amazing. I am able to enjoy life, a depth of thought, and the company of others in a way that was impossible when I was preoccupied with my eating disorder. Recovery has made me more compassionate toward others and the struggles they may be going through. In the super-awesome category, recovery made it possible for me to have a baby. Q: What feedback would you give to the support people – friends and family – of individuals struggling with eating disorders? How can they best help to aid in the recovery process? EM: Patience. Patience and unconditional love are the best gifts you can give to an individual in recovery. What I didn’t need was people to fix my problem; what I most needed was people who I could count on, no matter what. Q: Everyone defines recovery differently. What does recovery mean to you? EM: Recovery means living without my eating disorder. It means accepting myself, and allowing myself the freedom to be human. At a macro level, it has come to mean for me actively resisting sexism and eating disorder culture, and working so that people treat each other (and themselves) better. Want to hear more from Erin Matson on recovery from her Eating Disorder? Be sure to RSVP for the event Recovery in Real Life and register for her breakout session entitled The Gifts & Challenges of Recovery during Pregnancy, Post-Partum & Parenting. She also blogs about pregnancy and eating disorders, reproductive justice and other important issues over at erintothemax.com. Meet the rest of the #RecoveryinRealLife speakers here. Have we as a country gone too far in conjuring up a fear of fat? Most eating disorder specialists and body image advocates would say we hit that milestone long ago – the proof being in our country’s continued and desperate reliance on dieting despite its 95-98% failure rate. However, recent research seems to suggest a new low – one that we are concerned may spike unnecessary anxiety in new parents and could further distort our country’s relationship with food and eating, beginning with our youngest and most fragile generations. That being said, we felt it was important to address this topic within our Nurture blog series. Understanding the paradoxical outcome of restricting early feedings leads us to question the messages sent by this research study as well as those introduced by most childhood obesity prevention campaigns today. As a country, we should pause and ask ourselves if increasing anxiety about infant and childhood weight might be hurting more than it is helping? Promoting an even earlier vigilance and stigma around weight and bodies seems only to be muddying the water further, adding to the very “problem” that studies such as this one seem to be trying to address. We would add that providing education rather than stigma; positive goals rather than “tipping points”: and fostering tools rather than anxiety will go a long way in helping to nurture a culture that cares more about health and less about size. *Quotes are copyright © 2010 by Ellyn Satter. Published at www.EllynSatter.com. For more about raising children who eat as much as they need and get bodies that are right for them (and for research backing up this advice), see Ellyn Satter’s Your Child’s Weight: Helping Without Harming, Kelcy Press, 2005. Also see www.EllynSatter.com/shopping to purchase books and to review other resources. One of the most frequently used phrases in marketing to mothers is “How to get your body back… .” The ending varies and generally goes something like, “How to get your body back…after pregnancy…after baby…after having children…,” but the specific ending is less important than the underlying message. When women are told repeatedly that they will need to “get their bodies back” after pregnancy doesn’t that seem to imply that their bodies are lost, damaged or missing as a result of the pregnancy? The truth is, a pregnant body does not represent a loss of one’s body or even a damaging of it (despite a recent celebrity comment which seems to suggest this). To the contrary, pregnancy can actually be a very visible expression of the body’s resourcefulness, strength and utility, and that is beautiful. You’ve owned your body the whole time, and it’s been doing important things for you and your baby. During pregnancy, the body does go through changes, albeit sometimes difficult or painful ones that are a necessary part of pregnancy and childbirth, but it is still your body – the same one that climbed the jungle gym when you were five years old, the same one that walked up on stage during graduation and the same one that embraced a friend when they needed a hug. Bodies are not lost; they don’t disappear because they change size or shape or because they’ve accumulated stretch marks or c-section scars. Bodies work hard and deserve to be cared for, respected and appreciated. It can be very easy to fall into a pattern of rebelling against weight gain and other physical changes that accompany pregnancy and childbirth. That is after all, the strategy most often proposed by our image-obsessed media, a relentless diet industry, and even sometimes further encouraged by well-intentioned family members or friends. But in reality, it’s not helpful to spend significant time and energy in search of a body you’ve been told you lost. This quest too often ends up spiraling into years of yo-yo dieting, excessive exercise, negative body image or even serious eating disorders – all of which can be detrimental to physical and emotional well-being. Too much time spent focused on “getting your pre-baby body back” can also have the unfortunate and undesired consequence of interfering with important bonding time between mom and baby. This might be one reason why authors, Claire Mysko and Magali Amadei, named the phrase “get your body back” to their list of the top 5 most detrimental tabloid catch phrases for new and pregnant moms. Search no more. Trust your body’s natural changes and processes, including hunger and fullness cues and your unique set-point. Nourish yourself appropriately. Respect your body’s journey and its accomplishments; appreciate your body for what it allows you to do, not solely for how it looks. Remind yourself that nurturing your body with enjoyable movement, adequate rest and unconditional kindness is the best way to be a healthy and beautiful mom. A plethora of news stories developed overnight, placing “Real Housewife” TV Star, Bethenny Frankel in the media spotlight for her drastic post-pregnancy weight loss three weeks after giving birth to her daughter via cesarean section. Most sources are speculating that these rapid changes to her body are unrealistic, are the result of unhealthy behaviors and set an undeniably dangerous and negative standard for everyday, non-celebrity moms. Even while suggesting the danger in this, magazines and news shows continue to flaunt photos of her in a bathing suit, promote her books and products, and proclaim her diet, exercise and weight loss to the world as though it is something to emulate. Subsequently, the public is greeted with more mixed messages about health and weight loss that are confusing and difficult to sort through. Our questions amidst this media frenzy differ from the slew of inquiries into how much weight was gained and lost or what Bethenny was eating or not eating. We would rather ask why reporters and news media feel its appropriate to provide readers and viewers with the specific details of Bethenny’s weight loss regimen while simultaneously questioning its safety? And why would someone who has publicly discussed a “former” unhealthy obsession with food, weight and exercise, support a publicity storm focused on weight just three weeks after the premature birth of her child? The Center for Eating Disorders is honored to be able to feature Claire Mysko and Magali Amadei as guest bloggers in our Nuture series for moms and mothers-to-be. Their book, Does This Pregnancy Make Me Look Fat? The Essential Guide to Loving Your Body Before and After Baby, offers a refreshingly realistic and healthy perspective on body image during pregnancy. Recently, we asked Claire and Magali to offer their best advice to women, especially those who have struggled with eating disorders or disordered eating, on how to navigate the adventures of pregnancy without over-focusing on weight and size. Pregnancy is a time of great anticipation. It’s also a time that is measured meticulously from start to finish—in weeks on the calendar, milestones on the sonograms, and numbers on the scale. And for those with histories of disordered eating, all that counting can be dangerous territory. Here are five tips to help every expectant mother get beyond the numbers game. Take weight out of the equation. This might seem like a radical suggestion considering that pregnancy weight gain and post-baby weight loss are such hot topics of conversation among mothers-to-be and new moms. To add fuel to the fire, weigh-ins are often the center of every visit to the doctor. But truthfully, there really isn’t any reason you need to keep track of your weight. If you know that it could become an unhealthy fixation, tell your OB or midwife that you prefer not to discuss the number unless it becomes a medical issue. Step on the scale backwards and remind the physician’s assistant that you don’t want to be told your weight. Then enjoy the looks on people’s faces when they ask you how much you’ve gained and you respond, “I don’t know.” As a bonus, you’ll soon discover that there are plenty of other interesting—and more substantive–things about becoming a mother that you can talk about. Choose a health care provider who is sensitive to food, weight and body image issues. Women who have struggled with poor body image and/or disordered eating need to find prenatal healthcare providers who are knowledgeable and compassionate when it comes to these issues. We’ve heard from many women who ended up in the examination room—and sometimes even the delivery room—feeling belittled and unsupported by their own doctors. The best way to avoid this scenario is to push through whatever shame you might be feeling and be upfront with your OB or midwife about your history and your pregnancy-related body image fears. If you’re met with criticism or any other reaction that makes you feel uncomfortable, remember that you are well within your rights to walk out that door and find another doctor who will treat you with more respect. Of those we surveyed, 73% of pregnant women with body image issues and histories of eating disorders and disordered eating said they had not discussed this history with their OBs or midwives. It’s time to break that dangerous silence. Clean out your closet. One of the kindest things you can do for yourself is to pack up anything in your wardrobe that would qualify as “form-fitting” as soon as you see that plus sign on the pregnancy test. You will start gaining weight before you start showing, so this is a surefire way to avoid the agony of trying to squeeze into something that’s too small. And we’re not kidding about packing it up. Put those clothes in a box, and seal it up tight. Personally, we advise you not to open it again until a year after you’ve given birth. You know what they say about nine months to gain the weight, nine months to take it off? Well, we’re adding a few extra months for good measure. That’s a lot of seasons in fashion-speak, so chances are good that you won’t even be interested in some of those clothes once you dig that box out again. For sanity’s sake, pregnancy is a time when you must let go of your attachment to a specific clothing size. As someone who is about to become a mother, your sense of self-worth cannot hinge on whether you can fit into whatever size you think is “ideal” for you. Is that a belief you would want your child to absorb? What’s really ideal is to find clothes that are flattering, comfortable, and versatile. Sizes vary from store to store, so don’t have a heart attack if you end up wearing sizes that seem beyond what you imagined you would wear. That goes for pregnancy and it applies for after delivery, too. The number on the scale doesn’t define any of us, and neither does the number on the tags of our clothes. If it’s making you that miserable, take a pair of scissors and cut those labels out of sight and out of mind. Be aware of the triggers of pregnancy. The incessant counting, comparing, and measuring that happens during those nine months and beyond can tap into some of the very vulnerabilities that are linked to eating disorders and food and weight obsessions. Perfectionism, loss of control, feelings of isolation, and memories of childhood often bubble right to the surface. But if you’re getting the support you need, you’ll have a better chance of weathering those storms without resorting to self-destructive habits. Resist the urge to shut down or close off. Remember that there is nothing shameful about asking for help. It’s the most courageous thing you can do for yourself and your baby. Look at your recovery as an ongoing process that will help you reach your full potential as an individual and as a mother. Break the cycle of body hatred. Allow yourself to celebrate the fact that your body is working some serious magic right now. Before you get stymied by stretch marks or focused on flabby skin, take time to reflect on how you will teach your child—in your words and in your actions—that you appreciate your body because it brought them into the world. We have the power to help future generations grow up placing a higher value on good health than on weight and physical appearance. But before we can pass along those positive attitudes, we must first embrace them for ourselves. Make your commitment now by signing the Healthy Beauty Pledge for Mothers and Mothers-to-Be. Visit Claire Mysko’s website for more empowering and encouraging blogs about body image. If becoming a mom is something you’re considering, what comes to mind when you think about the possibility of that life-changing experience? Do you wonder about what your baby would look like, how it might feel to hold him or her? Do you feel excited about raising a child and anxious at the thought of sleepless nights and parenting decisions? Or, are you feeling anxious about the changes that will take place with your body? Do you worry a lot about what you would look like pregnant, how much weight you will gain or how quickly you will lose the weight afterwards? If you are like a lot of women, when you think about becoming a mom you probably experience a combination of both excitement and worry, some of which might revolve around the potential changes to your body. However, if you find yourself mostly occupied by these thoughts and fears about weight gain or other body changes, its important to address them. When negative body image thoughts or an overarching fear about weight gain are preventing you from otherwise enjoying a journey towards motherhood, or if those fears are the primary reason that you are postponing important things in your life, it may be a good time to reflect on and work towards a more positive body image. If having children is something you are considering or if it is a possibility at any point in the future, developing a foundation of body acceptance before you go through the emotional and physical changes of pregnancy and motherhood is ideal. 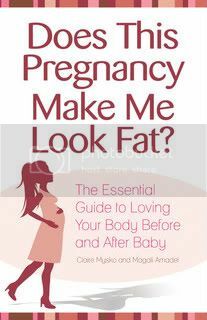 Claire Mysko and Magali Amadei, authors of “Does This Pregnancy Make Me Look Fat?”report that 78% of women they surveyed who don’t have children yet or are not planning to have children, said that they had concerns about how pregnancy and motherhood could change their bodies. Furthermore, 79% of the ones who expressed these fears said that gaining weight and not being able to lose it after delivery was their number one fear. Clearly, this is not an uncommon thought, especially as media outlets continue to shine a spotlight on pregnant bodies and proceed to publicly judge women based on their rate of return to pre-pregnant form. This pressure can be a lot to contend with but we want women to know that it is possible to feel good about yourself and your body – it has nothing to do with changing your body and everything to do with changing how you think about and treat your body. Learning about and working towards a positive body image now, will not only prepare you to accept and appreciate the changes that come during pregnancy but will also help you to be a positive body image role model for others, especially any future children that might come along. There are a lot of on-line resources claiming to provide helpful hints for improving body image pre and post-pregnancy. While perusing these resources, remember that the definition of positive body image is not dependent upon being a specific weight or size, nor does it require any physical deviation from the way your body is right now. If you ever come across “helpful body image hints” that encourage you to do things for rapid weight loss, or if they are very focused on fitting you into your pre-pregnancy jeans as soon as possible, it’s probably not a helpful resource for body image or for your health. If you are thinking about or planning a pregnancy, or if you are currently pregnant or parenting, these are some strategies that can help you resist negative cultural messages about women’s bodies and move towards acceptance and appreciation for the body that you have! Focus on your health, not your weight. Healthy can come in any size and shape and the same goes for unhealthy. Attempt to stop judging your health status (and other people’s health) based on weight or outward appearance. In fact, research shows that focusing on health – without regard to weight – consistently leads to better physical health outcomes. Throwing out (or donating) your bathroom scale can make it a lot easier to focus on incorporating healthy behaviors for health’s sake as opposed to perpetually being tempted to strive for an unrealistic or unhealthy number on the scale. Leave the weigh-ins for the doctor’s office. Evaluate your reading material. After just 3 minutes of looking at a women’s fashion magazine, 70% of women feel significantly worse about themselves. Remember that pregnancy and parenting magazines are not immune from our retouched and photoshopped culture – many of the pregnant bellies and even the babies (yikes!) in these magazine photos have been significantly altered to appear “flawless”. Do some self-check-ins occasionally to make sure you aren’t comparing your own real body to those that have been digitally created. On a daily basis, attempt to consider and appreciate the utility of your body instead of simply placing value on how it looks. Instead of labeling wrinkles an unfortunate byproduct of aging, consider them proof of all the smiling you have done and wear them proudly. This will be an incredibly important mindset to adopt prior to, during and following pregnancy when women’s bodies go through natural and amazing changes in order to support a baby. Widening hips during pregnancy are often the focus of much discontent among pregnant women who no longer fit into their jeans. But if you take the time learn about how and why your hips are widening, you will be better able to develop an attitude of understanding and gratitude for your body and move away from the loathing and self-criticism that has, unfortunately become so normalized among new moms. Close your eyes and picture five to ten women who have been the most influential in your life. Perhaps you look up to them for their strong morals and values, their attributes as a parent or as a professional, or because they inspire you to reach your own goals. They might be relatives or friends, famous or not famous, younger or older than you. As you visualize these women ask yourself a few questions…Do they all look the same? Are they shaped the same? Do they all wear the same size or have the same skin color? Are they all exactly the same height? In most cases, the answer to all of these questions is going to be no. No, because beautiful people come in all shapes and sizes, including you. For ongoing tips and resources regarding positive body image messages, follow us on Twitter and Facebook. You may also want to find out more about the Nurture blog series for moms and mothers-to-be. If you continually struggle with negative thoughts about your body, have persistent or intense fears about gaining weight (related or unrelated to a pregnancy), or experience significant distress as a result of a preoccupation with your weight or size, you may want to consider seeking professional support. If you have any questions about therapy to help improve body image, please visit www.eatingdisorder.org or call The Center for Eating Disorders at (410) 939-5252. Over the course of the next few months the Nurture blog series will explore the central theme of motherhood involving various topics such as fertility, pregnancy, childbirth and parenthood as they relate to body image, and overall wellness. Several of these topics, in addition to being potentially sensitive subject matter, also have a language all their own. 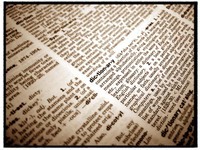 As we approached these blogs, we thought it was important to make sure that everybody is speaking the same language – hence, the glossary page. Many of the terms used in this blog series get tossed around a lot in our society with the assumption that everyone knows what they mean, but that isn’t always the case as we will point out in future blogs entries regarding the term “body image”. We also wanted to provide clarification for terms that are sometimes used in two different ways (i.e. “going on a diet” vs. “a balanced diet”). Additional terms, like “low birth weight” or “amenorrhea” are more technical and so we thought it couldn’t hurt to provide a little refresher for these more medically-based terms as well. Throughout this series of blogs the glossary will grow and terms will be added, feel free to use it as a reference when reading specific blog entries and refer back to it as often as needed. If you have any questions or suggestions for terms that should be added let us know! Amenorrhea: Amenorrhea is the absence of menstrual bleeding. Primary amenorrhea is the absence of menstrual bleeding and secondary sexual characteristics (for example, breast development and pubic hair) in a girl by age 14 years or the absence of menstrual bleeding with normal development of secondary sexual characteristics in a girl by age 16 years. Secondary Amenorrhea is the absence of menstrual bleeding in a woman who had been menstruating normally but later stops menstruating for 3 or more months and its occurrence is not a result of pregnancy, lactation, systemic hormonal birth control pills, or menopause. (source: emedicinehealth.com) Amenorrhea can be a symptom of disordered eating, over exercise or an eating disorder. Body Image: Body image is… how you see yourself, how you feel about your body and shape, and what you believe about your body. Body image is made up of memories and assumptions about your body and the feelings you have when you think about or visualize your own body. Body image is also how you feel in your body as you move and control it. Body image is not dependent on how much you weigh, how tall you are, or your personal style. A person’s body image can exist anywhere on a continuum – from a very positive and healthy body image to a very poor or negative body image. Diet (verb): A Reduction of caloric intake or manipulation of food and drink with the intent to lose weight. Disordered Eating: A significant deviation from normalized eating patterns that may include dieting, fasting, bingeing, or skipping meals. Disordered eating disregards internal regulation of hunger and fullness and provides the body with much more or much less than the body needs to function properly. Instead of feeling good after a meal, someone who has disordered eating will often experience feelings of guilt, shame, discomfort, fear or discontent. Infertility: The inability to become pregnant after persistent attempts over a given period of time, usually determined to be one year in humans. Normal Eating: Eating in response to the body’s natural hunger and fullness cues, with a variety of food choices that offer balance, diverse foods and moderation. Normal eating generally involves eating three regular meals per day and 1-2 additional snacks in response to hunger. Normal eating involves nourishing the body for the purpose of providing energy and maintaining well-being and should result in feeling good afterwards. Over Exercise / Excessive Exercise: 1. Repeatedly exercising beyond the requirements for good health; when an individual engages in strenuous physical activity to the point that is unsafe and unhealthy. 2. The Diagnostic Manual, the DSM-IV-TR, defines excessive exercise as exercise that “significantly interferes with important activities, occurs at inappropriate times or in inappropriate settings, or when the individual continues to exercise despite injury or other medical complications.” 3. Some of the physical dangers that may become an issue for someone exercising too much can be: dehydration, stress fracture and osteoporosis, degenerative arthritis, amenorrhea, reproductive problems, and heart problems. Set-Point / Set-Point Theory: 1. Set point is the weight range in which your body is programmed to weigh and will fight to maintain that weight. Set point is often referred to as an internal “thermostat” that regulates weight. 2. According to the set-point theory, there is a control system built into every person dictating how much body fat he or she needs to maintain homeostasis. Some individuals are genetically programmed to have a high setting, others have a low one. According to this theory, body fat percentage and body weight are matters of internal controls that are set differently in different people. 3. The set point theory suggests that despite dieting efforts, the body eventually tends to return to its set point weight or will adjust metabolism and other mechanisms in an attempt to do so. The Center for Eating Disorders at Sheppard Pratt is excited and proud to announce a new web resource for family-centered women and the health professionals who work with them. Our Spring 2010 blog series began as an idea for a single blog addressing the issue of post-pregnancy body image struggles, a topic that affects millions of women across the country and seems to grow more and more complex with our culture’s continued focus on weight and dieting. However, as we began developing this resource for new and expecting moms, additional topics, questions and related issues kept sprouting. As a result, we enthusiastically decided to address the intersection of body image, pregnancy, disordered eating and motherhood in a more comprehensive way, one that examines these issues across the broader timeline of motherhood from a holistic and health-focused perspective. What we ended up with is Nurture., a series of blogs that we hope will: 1) cultivate a conversation about the effects of negative body image and disordered eating on fertility, pregnancy and parenthood and 2) provide resources and information that will encourage women to resist negative cultural messages about food and weight, for themselves and for their families. In reaching towards these goals, we will touch on a number of relevant, and sometimes sensitive topics including infertility, post-partum weight struggles and the mother-child feeding relationship. We will draw from and reference a variety of sources – clinical research, popular media, current events, web resources, professional publications – to help women find peace with their pre and post-baby bodies so that they can nurture their families and, most importantly themselves. Body image issues and disordered eating don’t just affect women and mothers – they affect the whole family system. Whether you are an expecting mom, a concerned husband or partner, a supportive Obstetrician, an individual struggling with an eating disorder, or a veteran mother of five – we hope you will join us over the next several months as we journey through the Nurture. blog series which launches next week, April 12th, 2010. Follow The Center for Eating Disorders on Facebook and Twitter to receive updates and Nurture. blog entries as soon as they are posted. If you have questions about this blog series or about treatment options at The Center for Eating Disorders, please call (410) 938-5252.